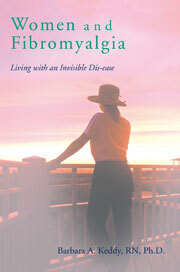 The idea that fibromyalgia can be ‘cured’ through medications is erroneous. Drugs such as Neurontin or Lyrica can sometimes be effective to control the symptoms in some people with fibromyalgia some of the time. Is this really treatment or merely masking the symptoms? I will make this blog very short and suggest that the best way to treat fibromyalgia is 1) to remap the brain; 2)control the excess arousal of the nervous system; 3) unlearn what we have believed to be either a biological/viral/bacterial cause of fibromyaliga; 4) stop the talk therapy that only brings up the same negative stories we have told ourselves over and over and continues to reactivate our nervous sytem; 5) stop looking for a ‘cure’ with medicines. This entry was posted in body movement, diaphragmatic breathing, discipline, Fibromyalgia, Jeffrey M. Schwartz and Sharon Begley, Lyrica, meditation, neurontin, remap brain, shaking, shivering, talk therapy, The Mind and the Brain, touch therapy, trembling, unlearn on June 13, 2009 by Barbara Keddy. It has been a long and interesting journey beginning with my book in which I laid the foundation about why women are more prone to developing, or at least reporting FMS, and my conclusion that it is actually caused by an over-aroused nervous system. However, while this was the first step, and the primary one, more has been revealed to me and I am very excited over the unlimited hope there could be for us all. I still don’t have all the answers and it may be that I am presenting information that is not quite accurate, but it has been a steep learning curve and requires much un-learning, which is said to be more difficult than learning. It all began with my physiotherapist, Nick Matheson who brought me to a path which I had never travelled down before, that is, to explore the relationship of pain and the brain, rather than looking simply at fibromyalgia as the result of a hyper-aroused nervous system. This entry was posted in activity diary, adrenalin and cortisol, adrenals, aleksandr luria, autonomic nervous system, body/brain/emotions, body/mind/spirit, calm the nervous system, catastrophizing, central nervous system, Craig Hassed, Daniel Amen, David Butler and Lorimer Moseley, Diane Jacobs and Nick Matheson, diaphragmatic breathing, Dr. Bud Craig, emotions, empath, Fibromyalgia, imagery, interoceptive pathway, Jon Kabat-Zinn, Kalu Rinpoche, memory, michael merzenich, mind and brain, mindfulness meditation, movement, norman doidge, overly empathetic, pain, parasympathetic nervous system, paul bach-y-rita, peripheral nervous system, peter goodman, plasticity of the brain, psychological techniques, R, reconceptualize the problem, reframing, responding rather than reacting, Richard Davidson, sandra and matthew blakeslee, sympathetic nervous system, the brain and fibromyalgia, The Wellcome Trust, training the brain, women and fibromyalgia on March 25, 2009 by Barbara Keddy.